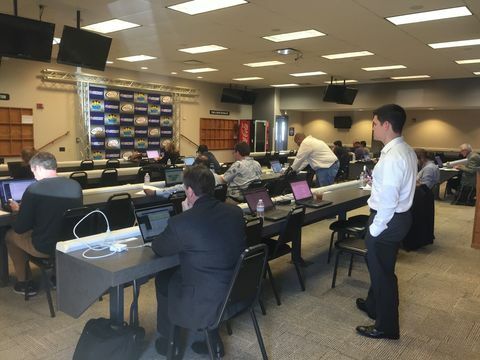 The Media Center can accommodate up to 115 people and is ideal for meetings and seminars. The permanent classroom style set up directs all attention to the front of the room towards the stage and projection screen. This setting allows for a casual, yet professional atmosphere. 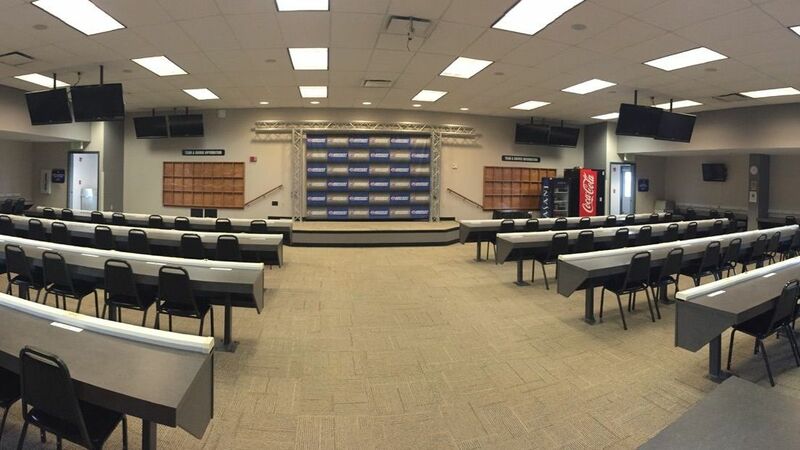 "Our event at the Kentucky Speedway was huge success and credit goes, in part, to the helpful staff. Our attendees loved being in the media room and participating in 'behind-the-scenes' tour. Having an event at the Kentucky Speedway guarantees an experience to remember!"